* Order the right amount of Malaria Tablets for your trip from our Superdrug Doctors. Malaria is a dangerous illness caused by a parasite of the Plasmodium family. It occurs in many parts of the world, with an estimated 219 million malaria cases and 435,000 malaria related deaths in 2017. The parasite is transmitted via mosquito bites, specifically from the female anopheles mosquito. Before travelling to a malaria area, you must make take preventative steps to protect yourself from the illness. Our online doctor service provides a safe and convenient way of buying antimalarial drugs online. Our doctor will review your order and make sure the antimalarial medication you order is suitable for you. Prescription and delivery are included. Which different types of malaria are there? What is the life cycle of the malaria parasite? Malaria statistics - How common is malaria? There are five different types of malaria parasites. Which medication you need depends on which parasite is endemic to the malaria region you are travelling to. They are all transmitted by mosquitoes and cause similar symptoms, although the severity of symptoms differs between the types. The falciparum parasite causes the most dangerous form of malaria and is responsible for the majority of malaria deaths. It is particularly prevalent in sub-Saharan Africa. It has developed a resistance to some malaria medications, such as chloroquine. In certain regions, for example in South-East Asia, falciparum has also developed a resistance to mefloquine, the active ingredient in Lariam. Travellers going to any of these regions should protect themselves by taking Malarone or Doxycycline instead. The knowlesi parasite is endemic to regions South East Asia, including Malaysia, the Philippines and Indonesia. It primarily affects primates but it can sometimes cause disease in humans, which can be severe. Plasmodium vivax commonly causes recurrent, also known as relapsing malaria. It is not as dangerous as the falciparum parasite but it can be fatal, especially if it causes an enlargement of the spleen. The vivax parasite occurs in America and Latin America, as well as some parts of Africa. The ovale parasite occurs primarily in West Africa, but it is also endemic to the Philippines, eastern Indonesia and other parts of Asia. It is less dangerous than plasmodium falciparum but it can cause recurrent bouts of malaria until up to four years after infection. 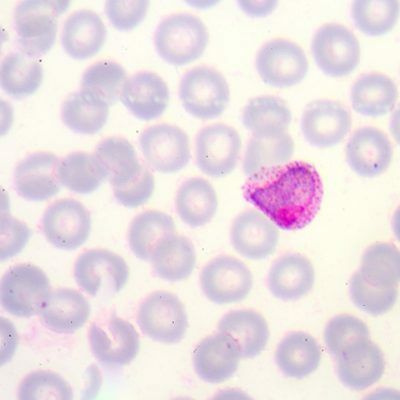 Plasmodium malariae is less common than the other types of malaria and it is also slightly less dangerous, however it is possible to develop symptoms many years after being infected. It is known to be endemic to many regions of sub-Saharan Africa as well as southeast Asia, South America and several islands in the western Pacific. When an infected mosquito bites a person, it transmits the malaria parasite into their bloodstream, which carries it to the liver. The parasite multiplies in the liver of the following 7 to 10 days. During this time, the patient doesn’t have any symptoms. The parasite is eventually released back into the bloodstream, where it invades red blood cells. During this stage, the infection causes fever. The infected blood cells break open and release further parasites, causing the infection to spread. If a mosquito bites the patient at this stage, it will be infected with malaria and potentially pass the infection on to the next person they bite. Malaria diagnosis is often microscopy-based. There are also rapid diagnostic tests which require a blood sample obtained with a finger prick. They produce reliable results within 15 - 30 minutes. It is important that malaria is diagnosed swiftly and accurately as some types of malaria can cause dangerous complications if they are not treated. If you experience symptoms during or after a stay in a malaria area, you need to seek medical attention without delay. According to the WHO, there were 219 million cases of malaria in 2017 which resulted in 435,000 deaths worldwide. However, it is assumed that the actual number of malaria cases is much higher, as many cases won’t be reported or diagnosed. Malaria tablets are taken to prevent the illness when travelling to an area where the parasite is common, so the risk of getting malaria is considered high. The two more popular medications used to prevent the illness are Malarone and Doxycycline. Which medication is best for you depends on a few different things, including your medical history. The different antimalarials have different side effects too. They also differ in price and the duration of the required course. Depending on the country you are travelling to, a particular antimalarial drug may be required. (The malaria parasite in some parts of the world has developed a resistance to certain medications). Our online doctors can advise you on which medicine to order. In addition to taking malaria tablets, you need to avoid exposure to the parasite by taking measures to avoid mosquito bites. Make sure you find out at much as possible about malaria in the area you are travelling to. Wearing long sleeves and trousers, using insect repellent and mosquito nets are important precautions to avoid getting bitten by a malaria-infected mosquito. You need to take your antimalarials exactly as prescribed to stay protected, including taking them for the specified period after you return from your trip. If you still develop symptoms, seek medical help immediately. You are unlikely to get infected while taking an antimalarial but infection is still possible. Typical malaria symptoms are like having flu, including fever, chills, sweating, muscle pains, diarrhoea and vomiting. Symptoms can develop as soon as 7 days after the mosquito bite but malaria can have a long incubation period, which means you could develop symptoms weeks or even months after infection. If you experience symptoms, contact a doctor immediately. Malaria occurred in 87 countries in 2017. It is prevalent in large parts of Africa, including Liberia, Mozambique and Tanzania. The parasite is also prevalent in parts of India and some other countries on the Asian continent. Before travelling, make sure you find out about local illnesses and health risks. The Travel Health Pro website is a good source for up-to-date travel health information. Malaria guidelines are regularly updated and countries receive new risk ratings for malaria. As a result, some of the malaria risk advice on our site may be out of date. Before starting your assessment for malaria treatment, please check up to date guidance on the malaria risk in the country you’re travelling to. Neither the content on our website, nor our online assessment for malaria treatment are intended as a substitute for a full travel consultation. It is important you discuss all precautions recommended for your trip, for example you may need vaccines too – you can book a consultation here. 1. Half of the Earth’s population are at risk of catching malaria. 2. Malaria is a preventable and curable disease. 3. The malaria parasite is passed on by mosquitoes. 4. People who spend their lives in a malaria area can develop immunity over the years. This is why most deaths occur in children. 5. People who grew up in a malaria region are at risk of catching it when they return. 6. Malaria can cause coma, brain damage, loss of muscle function and it can be fatal. 7. Malaria mortality rates have fallen by 47% since 2000, due to increased efforts to prevent the disease. 8. Malaria is particularly dangerous for pregnant women and it can harm the unborn baby. 9. Certain malaria parasites have developed a resistance to commonly used antimalarials such as chloroquine and mefloquine. 10. In rare cases, malaria symptoms can return up to four years after the infection. We're here Mon - Fri, 9am - 6pm, and until 5pm on Sat.